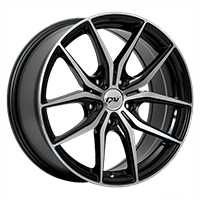 Home Blog | Wheels & Tires News Do My Tires Have a Warranty? Tires are an important part of your vehicle... But you know that already. And if we would prefer never having to replace them, that's not how it works. Unfortunately, potholes, nails, broken glass and other road debris can damage our tires and even put an end to their service life. Mechanical wear and manufacturing defects can also cause premature wear and put you in a tricky situation. Before it happens to you (and we hope it doesn't), you should make sure you know by what kind of warranty your tires are covered. And in case you were wondering, every manufacturer warranty applies to tires purchased online. So without further ado, let's take a quick glance at the different types of tire warranties. Most brands offer a limited warranty that covers only the tires that become unusable due to a defect in material or workmanship that can cause vibrations in the steering wheel and uneven tread wear. 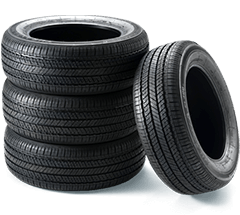 Generally, such defects emerge in the first 3 to 6 months of the tire service life. Depending on the manufacturer, the limited warranty is for a predetermined number of kilometres, a period of time or during the first 2/32 inch of usable tread wear. But beware, every warranty has conditions! And many things can justify a rejected claim: improper tire inflation, overloading, misuse, negligence, and the list goes on. Moreover, to file a claim, you will have to provide the manufacturer with a copy of your invoice and tire rotation record which proves that all tires were rotated at least every 10,000 km. Of course, the obligations can differ from a manufacturer to another. Many manufacturers also offer another type of warranty which implies that tires are warranted to have a specific service life in terms of tread wear: it can be expressed in years or kilometres. If your tire tread wears to the 2/32 of its depth in less time or kilometres then the warranty expresses, you are eligible for a prorated replacement or credit, depending on the manufacturer. Obviously, there are several conditions, including one that states that all 4 tires should be evenly worn. A few manufacturers give consumers 30 to 45 days to try out their tires and decide if they are satisfied with their performance. Michelin, Bridgestone, General Tire, Yokohama and Goodyear are among the brands that offer a Satisfaction Guarantee. If you are not satisfied with your tires, they will replace them... Under certain conditions, of course! Generally valid for the first 2 years of service life of your tires, Road Hazard Protection can be provided by both manufacturers and retailers, yet fewer and fewer manufacturers tend to offer that type of warranty. Sailun, Minerva and Continental's Road Hazard Protection allows you to get free replacement or repair after punctures caused by potholes, nails, glass or other road debris. PMCtire offers you a 2-year Road Hazard Protection plan for as low as $8,99 per tire! Rather rare, this type of protection differs depending on the manufacturer. For example, Michelin and Continental offer a 3-year Flat Tire Changing Assistance during which they will change your flat and install your spare tire or provide towing at no charge. It's hard to tell who offers the best warranty because they are all similar, but laid out differently. However, we can say for certain that Michelin stands out with the Michelin Promise Plan that includes a limited warranty, a mileage warranty, a 3-Year Flat Tire Changing Assistance and 30-Day Satisfaction Guarantee. Otherwise, Continental is one of the few brands to offer a Road Hazard Protection on top of everything else. Regardless of the tires you choose, it is very important to read the warranty to have a sound understanding of what it implies. In doing so, you'll be better prepared in case something happens!